The governor says economy is well on way to repair but he is still concerned over our debt. Patrick Honohan was in upbeat mode as he held court at the top floor of the Central Bank. All smiles as he declared he will leave Dame Street a few months early near the end of the year, he was asked which qualities should be sought in his successor. “A beard, I think, is essential – or a skirt,” he said. Mr Honohan turns 66 years of age in October. He anticipated revealing his plan yesterday “in an off-hand manner” but was rumbled by reporters on Thursday. He told Minister for Finance Michael Noonan of his intentions early in April. Asked if there was any row or any personal issues behind his early exit, Honohan said no there weren’t. Although he does not plan to take up a new job, he didn’t rule out writing a book on his experience as governor or to write on other subjects. “I’ve long been asking myself when the best moment is. I’m not getting any younger . . . This is actually a very good time, because it’s a time of change, a time of transition anyway,” he said. The Central Bank annual report showed that the institution realised a €2.1 billion profit last year, €1.7 billion of which is being paid to the exchequer. It was a mark of the extraordinary interventions made since the crash that the Central Bank realised profits totalling €8 billion in six years under Mr Honohan’s watch. After former European Central Bank chief Jean-Claude Trichet offered a resolute defence in Dublin of ECB actions in the Irish debacle, Honohan said it had been a great day for Irish democracy. “One thing that probably came home to people – but certainly has been my constant view of him – that he is has always been a friend of Ireland. He has been a bit demonised in blogs and stuff,” he said of Mr Trichet. The bailout, he said, was a once-in-a-century event in Ireland’s relations with Europe. 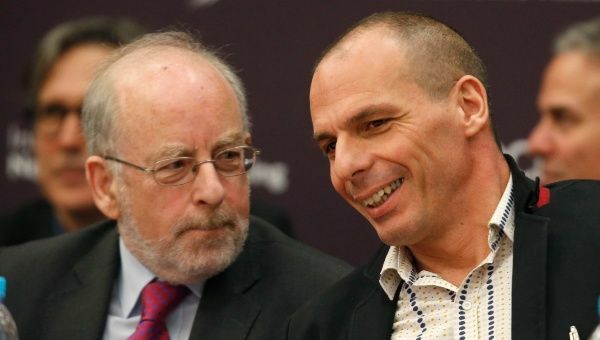 Asked if he took issue with Mr Trichet’s account, Honohan said he didn’t. Of the unresolved and uncertain scene in Greece, Honohan said he was “slightly more optimistic” in recent weeks than previously. Of the spring economic statement, he had “no message” and but did not indicate any particular concern with the package. While Honohan said Ireland’s economy was well on the road to repair, he had concerns still about high indebtedness. Of his time as governor in the heat of crisis, he said there were “few surprises” as he had seen how things went awry elsewhere. “It was like coming into a real live history book here,” he said. “I know people complain maybe a bit that I make light of things, but I’m always aware of the fact that in this period of time – in central banking characterisation – that the stakes are enormously high and mistakes could have been enormously costly. There are five radiologists per 100,000 population in Ireland, compared with 7.8 in Germany and 11.3 in France, says Royal College of Surgeons. The highest standards of practice cannot compensate for the current shortage of radiologists in Ireland, the faculty of radiologists has said. 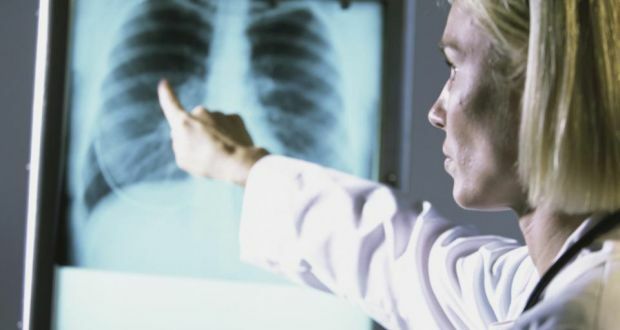 The faculty, which is part of the Royal College of Surgeons in Ireland, was commenting after more than 100 patients were recalled over the misreading of X-rays and other scans by three locum radiologists employed by the HSE. The college’s communications manager, Niamh Walker, said Ireland had a much lower number of radiologists per capita than other European countries. There are five radiologists per 100,000 population in Ireland compared with 7.8 in Germany and 11.3 in France, she said. Ms Walker said an IT platform currently being installed in HSE hospitals as part of a wider quality assurance programme would mean examinations recorded by one radiologist would automatically be assigned for review and second reading by another consultant radiologist. However, she said, “the highest possible standard of radiology practice still cannot compensate for the fact that Ireland has a shortage of consultant radiologists”. Ms Walker said a recent substantial investment by the HSE to develop a national electronic radiology IT system and hospital group structure should be accompanied by “a well-designed expansion in consultant radiologist numbers”. The Faculty of Radiologists, which along with the HSE and the Medical Council, is the postgraduate training body responsible for standards in radiologist training and professional competence, extended its sympathy to affected patients and their families. The Irish Times reported on Thursday that thousands of X-rays and scans were reviewed and more than 100 patients recalled after errors were found in the work of three locum radiologists. The locums, who no longer work in Ireland, were reported to the Medical Council after colleagues raised concerns over their work. They worked in seven hospitals. Fine Gael Senator Colm Burke said the HSE should prioritise the recruitment of hospital consultants over the use of expensive locum staff. “The use of locums and agency staff leads to lack of continuity in patient care. Aside from the recent concerns about quality, locum staff are far more expensive than what the health system would be paying permanent staff in similar roles,” he said. Telomeres could be developed to cause cancer cells to self-destruct without harming healthy cells. Genetic changes can predict cancer up to 13 years in the future, according to new research. Harvard and Northwestern University discovered that tiny but significant changes are already happening in the body more than a decade before cancer is diagnosed. They found that the protective caps on the ends of chromosomes, which prevent DNA damage, had significantly more wear and tear in people who went on to develop cancer. In fact, in some cases they looked 15 years older. Those caps, known as telomeres, were much shorter than they should be and continued to get shorter until around four years before the cancer developed, when they suddenly stopped shrinking. All the people with the changes went on to develop cancer. “Understanding this pattern of telomere growth may mean it can be a predictive biomarker for cancer,” said Dr. Lifang Hou, the lead study author and a professor of preventive medicine at Northwestern University Feinberg School of Medicine. Although many people may not want to know that they will develop cancer in the future, it could allow them to make lifestyle changes to lower their risk. Stanford University is also working on a project looking at how telomere’s can be regrown. However insurance companies warned that such a test could push up policy premiums. Matt Sanders, in charge of protection insurance products at Go-Compare, said people with such a diagnoses could be priced out of the insurance marker. “If this test showed 100% probability over a certain number of years then it could affect premiums. It would be the equivalent of living in a high theft area for someone looking for home insurance,” he said. In the new study, scientists took multiple measurements of telomeres over a 13-year period in 792 persons, 135 of whom were eventually diagnosed with different types of cancer, including prostate, skin, lung and leukemia. Initially, scientists discovered telomeres aged much faster, indicated by a more rapid loss of length, in individuals who were developing but not yet diagnosed with cancer. Telomeres in all the people who went on to develop cancer looked as much as 15 years older than those of people who were not developing the disease. Telomeres shorten every time a cell divides. The older a person is, the more times each cell has divided, and the shorter their telomeres. Because cancer cells divide and grow rapidly, scientists would expect the cell would get so short it would self-destruct. But that’s not what happens, scientists discovered. “We found cancer has hijacked the telomere shortening in order to flourish in the body,” added Dr Hou. Almost 2,500 people are diagnosed with bowel cancer in Ireland every year. Being informed of the early signs and what you can do to reduce the risk is crucial. So with the help of the Irish Cancer Society, we are delighted to inform you of these essential facts. If you are unsure of any of the following, please call the Irish Cancer Society National Cancer Helpline 1800 200 700. 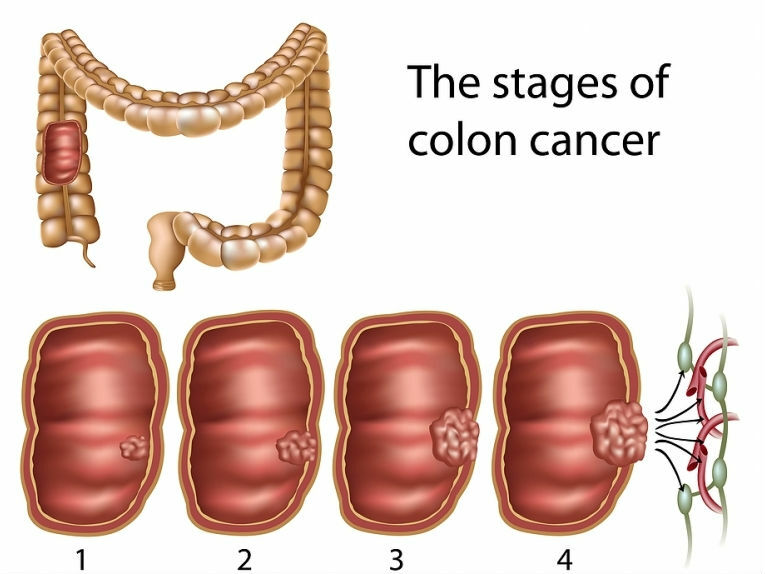 Bowel cancer is also known as colon, rectal and colorectal cancer. It affects the digestive system and can occur in both sexes. It happens when cells in the bowel start to grow quickly and form a tumour. If it’s a malignant tumour, it is known as cancer. It is the second most common cause of cancer death in Ireland. We can change this by recognising the early signs and reducing the risk. Knowing the symptoms is essential. Bowel cancer is extremely treatable once it’s caught early, however almost 50% of bowel cancers are only diagnosed at stage three and four. As a result, bowel cancer mortality rates remain steady since 2006 at 40%. If you notice any of the following signs, please get them checked, particularly if they last longer than four weeks. These symptoms can also be due to issues which are not related to bowel cancer. The cause of bowel cancer is unknown, but there are risk factors which can increase the likelihood of someone getting it. You have had a previous bowel cancer. A member of your immediate family (mother, father, brother or sister) or relatives (uncle or aunt) has had bowel cancer. You have a history of bowel conditions like ulcerative colitis or Crohn’s disease. You eat a diet high in fats and low in fibre. Research has found that adults who increase their physical activity and have a healthy diet can reduce their risk of developing bowel cancer by 30 to 40%. The Irish Cancer Society is appealing to the public not to be embarrassed about any symptoms they may be experiencing and to remember that early detection saves lives. Fota Wildlife Park is seeking public help in naming its latest arrival, a three- week-old male tapir. He is the first calf of parents Maya and Bazil and the first Brazilian Tapir born at the Cork Wildlife Park since 2006. His birth is part of a breeding programme for this vulnerable species. The parents have a multi-cultural relationship, with Maya coming from Lodz in Poland and Bazil from Curragh Wildlife Park in the Isle of Man in 2012. “We are delighted with the birth of this little tapir calf that seems very active already in the few days he has been outside,” said Stephen Ryan of Fota Wildlife Park. The calf has a striking coat of pale spots and stripes on a reddish brown background to camouflage it in the wild. 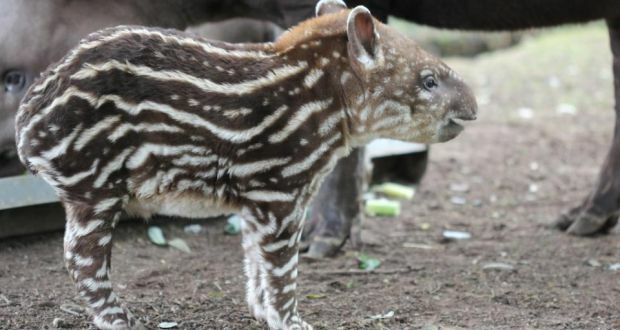 To gain public interest in the Brazilian Tapirs whose population has been decreasing in the wild, the park is running a competition to name him. “We are sure they will come up with another great name following on from the suggestions of Rog the cheetah, Shay Gibbon, Zedward the zebra and Fada the giraffe in the past,” said Mr Ryan. A relative of the primate horse and rhinoceros, the Brazilian tapir is one of four species of tapir in the world. It can weigh up to 250kg, is 2m long and has a flexible snout that helps collect food. Tapir comes from the Brazilian word for “thick”, which is a reference to its tough skin. The tapir inhabits the rainforests of South America and lives near water which it uses to escape from predators such as jaguars, pumas and anacondas. You can suggest a name for the tapir calf via the park’s website. The winning suggestion will win a Wild Experience at the park where they will spend time with the head warden behind the scenes. The Novo team travel to the race on a mission to represent millions of diabetics worldwide via the five type 1 diabetic riders on the team, including Irishman Daragh Campbell, from Drogheda (right picture) arrowed. 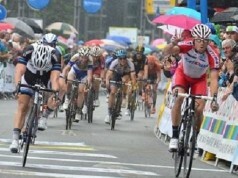 The race will total almost 1,200 kilometres in length and will include 21 categorised climbs. Team Idea last year notched up a number of placings. The 2015 An Post Rás will begin in Dunboyne on 17 May and will feature stage finishes in Carlow, Tipperary, Bearna, Newport, Ballina, Ballinamore, Drogheda and Skerries. It will total almost 1,200 kilometres in length and will include 21 categorised climbs. Scientists have found a planet the size of Jupiter orbiting a star? Scientists are at a bit of a loss after finding a giant exoplanet orbiting a small cool star some 500 light years away. While the discovery itself is exciting, it is now challenging ideas about how planets are made. The planet is thought to be about the same size as Jupiter – the largest planet in our solar system. “We have found a small star, with a giant planet the size of Jupiter, orbiting very closely,” said researcher George Zhou from the Research School of Astrophysics and Astronomy at The Australian National University. 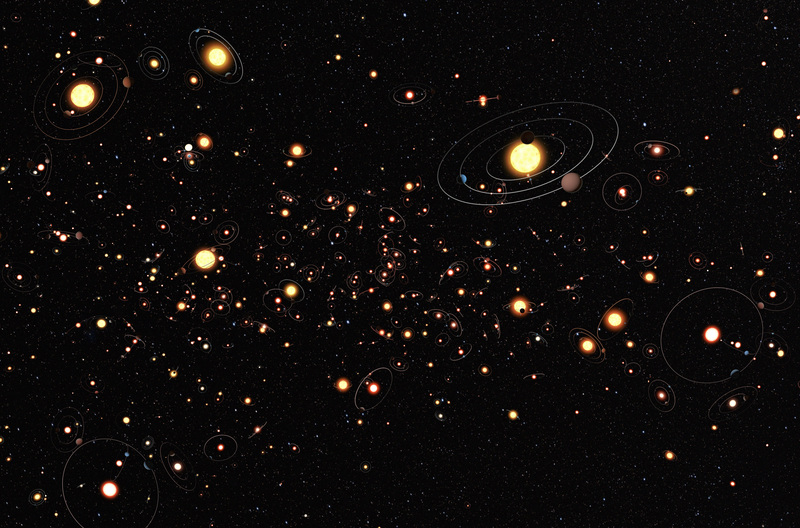 To understand what an exoplanet is, imagine you’re sat outside with your back to the Sun. When a cloud goes in front of the sun and it gets a bit darker and cooler you know what’s happening without necessarily having to turn around. Spotting exoplanets is a bit like this. The scientists are looking at stars and when they see an interruption to its light they know something has passed in front of the star. The host star of the latest exoplanet, HATS-6, is classed as an M-dwarf. Although they are common, M-dwarf stars are not well understood. Because they are cool they are also dim, making them difficult to study. As a comparison, Hats-6 emits only one twentieth of the light of our sun, but the planet was still spotted in the same way. The give away that the faint star had a planet circling it was a dip in its brightness caused as the planet passed in front of the star. It observed by small robotic telescopes including telescopes at the ANU Siding Spring Observatory. Follow up observations were made using both the world’s largest telescopes, the Magellan Telescope in Chile while amateur astronomer TG Tan helped out the university from his backyard in Perth. “The planet has a similar mass to Saturn, but its radius is similar to Jupiter, so it’s quite a puffed up planet. Because its host star is so cool it’s not heating the planet up so much, it’s very different from the planets we have observed so far,” Zhou said.